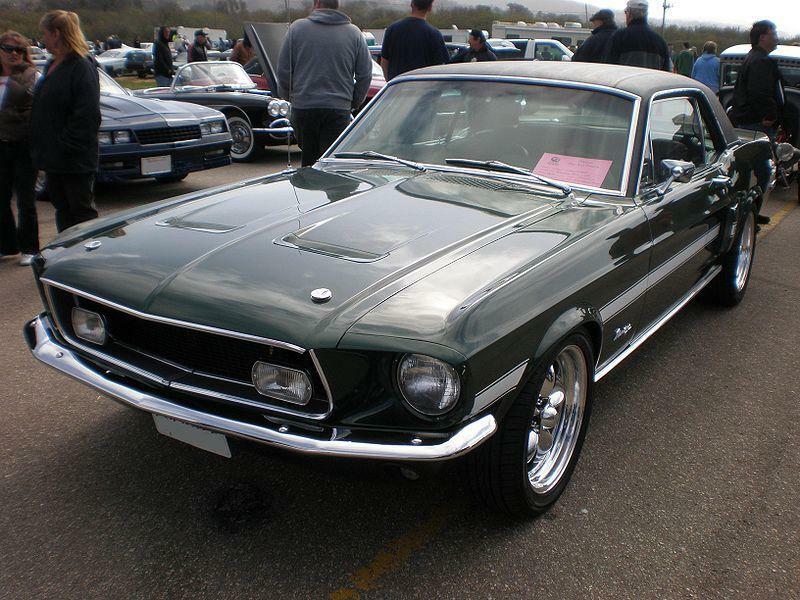 Dearborn's pony car was redesigned for 1967, primarily to make more room up front for an optional big-block V-8. Though the 271-hp 289 “Hi Po” small-block remained available for one last year, it was overshadowed by the 390-cid FE-series big-block, rated at 320 horsepower. Also new for 1967 was the “GTA,” an automatic transmission variation on the continuing GT theme. The GT/GTA segregation was enacted for one year only; all were simply called GTs again, regardless of transmission choice, in 1968. Making more headlines in April 1968 was Ford's announcement of a new engine option. The 335-hp 428 Cobra Jet V-8 was a big-block bully that vaulted the Mustang to the forefront of Detroit's muscle car race. Hot Rod magazine called the '68½ CJ Mustang “the fastest regular production sedan ever built.” Available as a coupe, fastback or convertible, the venomous 428 Cobra Jet Mustang was available through 1970.